Research and assess Los Cabos as a location for living, working or retirement in Mexico. Los Cabos, meaning “The Capes”, is a region at the southern tip of the Baja California peninsula; the land immediately south of California in the United States, cut-off from mainland Mexico by the Sea of Cortes, also referred to as the Gulf of California. 60F/15C (Nocturnal, Winter), 95F/32C (Daytime, Summer). Year-Round Average 78F/24C. Los Cabos comprises two towns: Cabo San Lucas and San Jose del Cabo. The two cities are joined by a 30km (20 mile) stretch of road that runs along an area known as the ‘tourist corridor’ on account that the stretch is dotted by top-class hotels and resorts. The Baja Peninsula is divided into two states: Baja California, and Baja California Sur, and is a socially and politically unique region of Mexico. There exists a considerable amount of U.S. influence and the peninsula is becoming autonomous in many ways to the rest of Mexico, albeit the land and the local people who inhabit it continue to exude Mexican culture and values. “The Baja” as the peninsula is often referred to, is tightly linked to the United States in many ways; in part because of the geography and in part due to the massive U.S. investment — both corporate and individual — that is taking place here. For example, many prices in Los Cabos are routinely quoted in U.S. Dollars; and, at a macro level, Baja California produces its own electricity — so much, that it exports the excess for sale to California in the U.S.A.
Mexican authorities also recognize the uniqueness of this land space and have made special allowances, such as allowing U.S.-plated motor vehicles to enter and remain on the peninsula, provided that the vehicle’s U.S. tax stickers are kept current. Elsewhere in Mexico, vehicles require an import permit and must be legalized (plates changed to Mexican plates) or exported (driven back across the border) within a fixed time period. The peninsula’s geography, the ties to the United States, and the unabating investment pouring-in from Mexico’s northern neighbor as well from Mexican interests, provide retirees and people who want to live (and possibly work) in Mexico a very unique opportunity: to live in a region that is undoubtedly Mexican, but which has many of the hues and benefits of being so closely associated with the U.S.A.
Of course, the influx of investment and interest over the last fifteen to twenty years means that land and property prices have risen considerably over the period; however, since the credit crisis that began in late 2007, prices have begun to atone and relative bargains may now be sought in the region. With over 55,000 square miles of land space, the Baja peninsula is huge. Baja California is over 27,000 square miles in size; its capital city is Mexicali. Baja California Sur, that incorporates Los Cabos, is a little over 28,000 square miles in size. The southern state on the peninsula is the least densely populated state in Mexico, with just one person for every four square miles of land space. Its capital city is La Paz. The Baja peninsula offers a diverse range of options for people who want to live retire and even work in Mexico. Los Cabos offers top-level amenities and local services; however, if you want to live more simply, there are alternative spaces, like those in and around San Felipe, offering land parcels ideal for the construction of eco-homes in Mexico. The peninsula offers good transport links by road, air and ferry. People who own their own boats also find the many ports and marinas make the peninsula easily accessible. The climate in this region is divine; it’s one of the biggest attractions for retirees and even then, there is choice. Although the coastal areas get hot and sultry in the summer, sea breezes cool them down; for those who need respite from the heat, mountain ranges that climb over a mile high above sea-level offer altitude and cooler temperatures. As ocean-front (or ocean view) properties in the United States went from being very expensive to eye-wateringly expensive, investors who yearned to have a bolt-hole by the sea looked to places like Los Cabos, where sea facing and sea view property was still affordable. The recent credit crisis has caused all realty markets to atone, and lower prices are now apparent even in the most sought-after Mexican realty markets, of which Los Cabos is one. Los Cabos, like a number of other resort areas in Mexico, continues to experience a surge of inward investment; and although foreign capital is flowing, Mexicans too, are looking to the peninsula. This investment can be seen at many different levels: small boutique stores, cafe’s and restaurants opening their doors; the renaissance run-down neighborhoods in old parts of the towns and cities, and the arrival of major hotel and resort brands — companies who spend millions ‘doing their homework’ before they lay a single brick — are building and opening major new resorts in and around Los Cabos. Economic and political ties alone will not attract retirees and others to live in a foreign land; beyond the underlying strengths of the Baja region, Los Cabos offers its residents a superb quality of life, with services and amenities to support a comfortable way of living. The great outdoors — on the water and on land — is really spectacular here. The climate lends itself perfectly to outdoor pursuits, which is why Los Cabos is host to no less than six world championship golf courses and major international sports fishing events. In addition to sports fishing, SCUBA diving, boating and yachting, swimming, canoeing and kayaking, wind surfing and water skiing are just a few of the other water sports on offer here. Back on the land: the diversity of the desert terrain offers opportunities to hike, climb, take part in eco-tours and adventure travel activities (off road racing, climbing, etc). Mountains over a mile high provide breath-taking views and an opportunity to get fit and, quite literally, lift yourself up from the heat of the coasts to the cool mountain micro climates at 5,000 feet. Foreign expatriate communities — now well established in this region — provide advice, support and networks of friends and associates to participate in sports and hobbies, do business, or simply relax and unwind. Potential expatriates may look at various locations across Mexico and see similarities in what each one has to offer. Los Cabos — and the Baja Peninsula — is unique: no other region in Mexico offers what this peninsula does, and no other coastal resort town offers what Los Cabos does. This uniqueness is also going to dictate that Los Cabos is not going to be the right for everyone: but for those who do come here and can feel themselves at home, the location has been — is — and will continue to be one of the most attractive locations on Mexican soil for foreigners to live, retire and work in. The cost of living in Mexico is typically lower in Mexico than it is the USA, Canada and Western Europe, although precise costs depend upon where you live and your lifestyle choices. 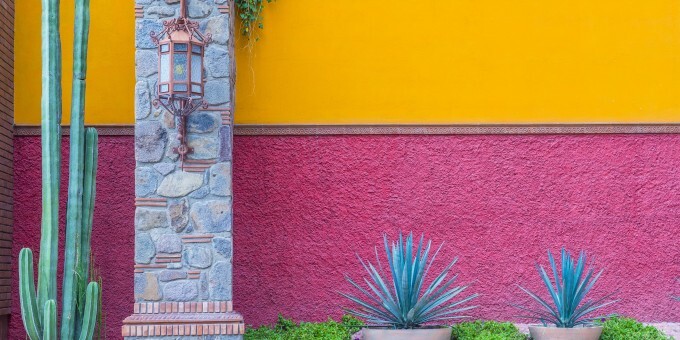 To learn more about the cost of living in Mexico, connect to the Mexico Cost of Living page on Mexperience. Regional and geographical cost variations do exist, and this part of the guide shows you how some goods and services at Los Cabos vary from the average. Information about the real estate market in Los Cabos. Prices of realty in Los Cabos have risen considerably over the last decade, although they still remain at very affordable levels when compared to ocean-side and ocean-facing property in the United States and Europe. As ocean-front (or ocean view) properties in the United States went from being very expensive to eye-wateringly expensive and unaffordable to most, investors who yearned to have a bolt-hole by the sea looked south. Even at the height of the property boom, prices in Los Cabos were affordable in comparison with comparable ocean-side properties in the U.S.A. Since the credit bubble burst in late 2007, prices in Mexico have been leveling off and at least one developer is offering condos and apartments at price levels not seen since the mid 1990’s. For those who and love Los Cabos, but felt the area was out of their price range, it’s now time to take another look; for those who have yet to discover why so many people have moved here in the last fifteen years, the price tags no longer need to be a barrier. Most real estate is sold through local realty agents who know the area and the surrounding region, as well as directly through the developers marketing major realty projects, often on prime beachfront locations or on fine golf courses. Real estate types range from beachfront homes, lots, and condos. There are also a number of time-share projects in and around Los Cabos, and especially in the tourist zone of the city (note that time share is not ownership). Private residences (mostly re-sales) are available in the town center of Los Cabos as well as out-of-town, where investors are buying homes offering desert-landscape surroundings with ocean and/or mountain views. Most rental properties in Los Cabos are offered through local realty agents or by individual property owners listing properties on the Internet or local newspapers and magazines as well as signs posted at restaurants, cafes and bars near the vicinity where the rentals are situated. Some realty developers rent out their units or rent out units on behalf of owners: check with local developers or a local realty agent for details and further information. In addition to Mexico’s state sponsored healthcare provided via the country’s national health service IMSS, good quality healthcare services offered through private clinics with US -standard healthcare services exist in Los Cabos. The privately-run out patient clinics available locally are ideal for day-to-day ailments, sprains, broken bones and other health matters which would normally be diagnosed and treated by a General Practitioner of medicine. 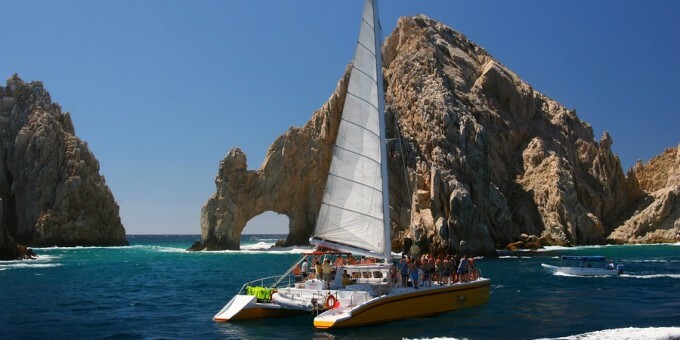 Los Cabos enjoys a yearly average temperature of 81F/24C. Winter months can be cooler and drop to 65F/15C at night; summer months may reach highs of 90F/30C in July and August especially. January through March, the winter months, are the coolest: a time when the climate in Los Cabos is mild, sunny and comfortable. Temperatures range from 55F/12C at night to 75F/22C in the day. Although it does not freeze by the coast, temperatures can drop below freezing inland and especially on the nearby Laguna Mountains, which rise over 5,200 feet above sea level. April through June – springtime in Los Cabos is period of time that sees hardly no rain and temperatures rise gradually as winter yields to spring. Temperatures range from 60F/14C overnight to 85F/26C in the daytime. July through September are the hottest months, with temperature ranging from 75F/21C overnight, to 100F/35C in the daytime. Temperatures and humidity reach their peak in mid-July and August and the hot air also gives rise to tropical storms and, on occasions, hurricanes. In stark contrast to the gradual incline of temperatures between winter and spring, the autumn tends to arrive suddenly in Los Cabos. Temperatures remain very warm and the air is muggy through to late September; not until the Oceans cool and the winds change direction do temperatures fall back to their ‘spring like’ comfortable levels – this happens in October. Rain is infrequent, but possible; in contrast to the spring when any rain at all is a complete surprise. Temperatures in the autumn months range from 63F/16C overnight to 85F/27C in the daytime. Humidity levels drop considerably from October onwards. Los Cabos’s rainy season runs from June to October, with most of the rain falling in August and September. Torrential afternoon rains may be experienced several days a week and, in the peak temperature months tropical storms and hurricanes may feature, too. Hurricanes can affect Los Cabos, particularly during the hottest months. Most hurricanes that have landed on the peninsula have happened in August and September. During the peak summer months of July and August, sea temperatures may reach as high as 90F/30C; in other months, the sea temperature will average around 70F/20C. This section contains links to guides where you can learn more about living in Los Cabos.